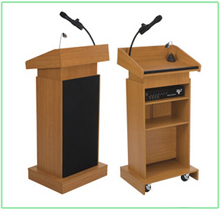 We provide Audio Podium on rent for events, Conferences, Exhibitions, Meetings, Award Ceremonies, Public Events. Branding is provided with the podium of your choice. Podium Mikes are provided as per the requirement.